Purdue’s efforts to recruit minority students in engineering are getting a big boost in the form of a gift from a couple with long ties to the university. Don and Liz Thompson have created a $1 million endowment for the College of Engineering, $900,000 of which will go toward scholarships for minority engineering students at the West Lafayette campus. The remaining $100,000 will go to the Minority Engineering Program. Both are Purdue graduates in electrical engineering (Don in 1984 and Liz in 1985) who were very involved as students in the program. Don has also served as a Purdue trustee since 2009. The gift, donated through the Purdue Day of Giving, counts toward “Ever True: The Campaign for Purdue University” and will help ensure that the Minority Engineering Program will continue to help students in their pursuit of higher education. Started in 1974, MEP has been key to the graduation of nearly 3,000 underrepresented minority students at Purdue. Many other colleges across the nation have adopted Purdue’s MEP model. The gift will also support MEP programs such as the Engineering Academic Boot Camp, a program developed in 2005 to improve the transition of underrepresented engineering students into the campus culture. 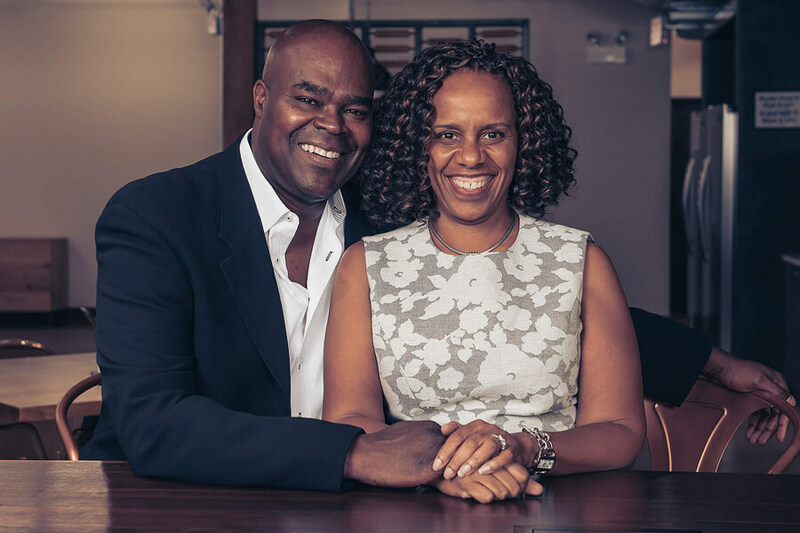 Today, the Thompsons are steering Cleveland Avenue, a privately-held venture capital firm that accelerates and strategically invests in innovative food, beverage, and restaurant concepts and emerging brands. Don serves as CEO, and Liz is President of their foundation, Cleveland Avenue Foundation for Education (The CAFÉ). Liz also serves on the national board of Braven, as vice chair of the Partnership for College Completion and on the Steering Committee of the University of Chicago Women’s Board. She is a special adviser to OneGoal and a board director for Chicago Beyond. Liz is an alumnus of the NonProfit Leadership Program of Denver, and of the Leadership Greater Chicago Program where she currently also serves as a director. Don worked for Northrop Grumman Corp. before a 25-year career with McDonald’s Corp., where he served as President and CEO from 2012-15. In addition to his role as a Purdue trustee, Don serves on multiple corporate and civic boards. Among his numerous honors, he received the Humanitarian Award from the Illinois Holocaust Museum in 2012, the Black Enterprise Executive of the Year award in 2007, and an honorary doctorate degree in science from Excelsior College in Albany, New York. Grateful for the support of the MEP program, the Thompsons are eager to see others have the same opportunity for a Purdue education. They are hopeful their gift will spark others to do the same. “Liz and I have supported Purdue and MEP for many years because we truly believe all young people should have access to a quality engineering education, and we believe Purdue provides that at the highest levels,” Don Thompson said. “Today, we have a unique platform to broaden access for more African-American students, and we encourage other Purdue graduates to consider gifting to the university, as well.